You can not save your online submission once you have started. Please download our pdf to help you prepare your submission prior to entering online. You can download the pdf here. NEW! Speakers will have the opportunity to submit a 2 minute video to talk about their submission in addition to the written synopsis. All parties interested in speaking at the Healthcare Facilities Symposium & Expo must read through the information below and complete the online submission form in order to be reviewed by the committee. Unless a submission is received via the online form it will not be considered for inclusion in the program. Please review our guidelines and policies prior to preparing your submission: By submitting a proposal you are agreeing to the conditions outlined below. Industry executives and experts, senior leaders in the healthcare planning, design, construction and/or operations space and companies providing case studies with innovative work are most likely to be selected as presenters. All case studies are required to have a representative from a healthcare facility to co-present so the presentation is well rounded. Case Studies submitted without a client representative will automatically be disqualified. Vendors who cannot secure a case study and client speaker will have limited opportunities to be selected. 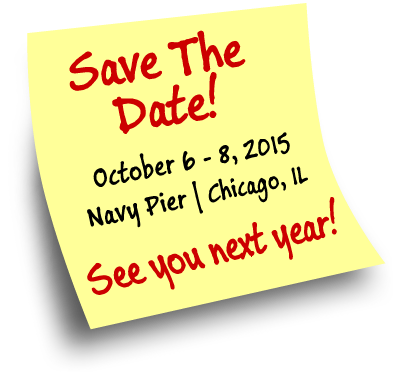 Please be sure all speakers are committed to presenting before submitting your session. The proposal must contain factual, educational content and avoid any puffery or sales pitch presentations. We also encourage you to discuss lessons learned – the good and bad! Remember we learn more from our mistakes than from our successes. If selected the presentation must not be presented at any other industry event within the same calendar year. The final presentation will correspond with the original session description. All final presentations will be submitted to our review process and if they do not comply with all of our conditions your presentation will be removed from the program. All speakers must provide HFSE with a copy of their presentation (proprietary information can be removed) to post online for attendees to download. We will not be producing printed or CD proceedings or handouts. Attendees will have the opportunity starting 1 week prior to the event to download the proceedings if they want to bring printed copies. All speakers must pay for their own travel expenses. Each speaker will be given a complimentary conference registration but are responsible for all other expenses. JD Events, Healthcare Facilities Symposium & Expo and the Advisory Board will review all proposals. Due to overwhelming response and limited slots, unfortunately we’re not able to select and showcase all proposals. Healthcare Facilities Symposium & Expo requires that each submission include a complete description of the presentation that is being proposed. Healthcare Facilities Symposium & Expo Management reserves the right to work with speakers to adjust or change their session title, description or content to meet the needs of our audience and conference programming.